Libelium has been awarded with 2015 National Award of Computers Science. 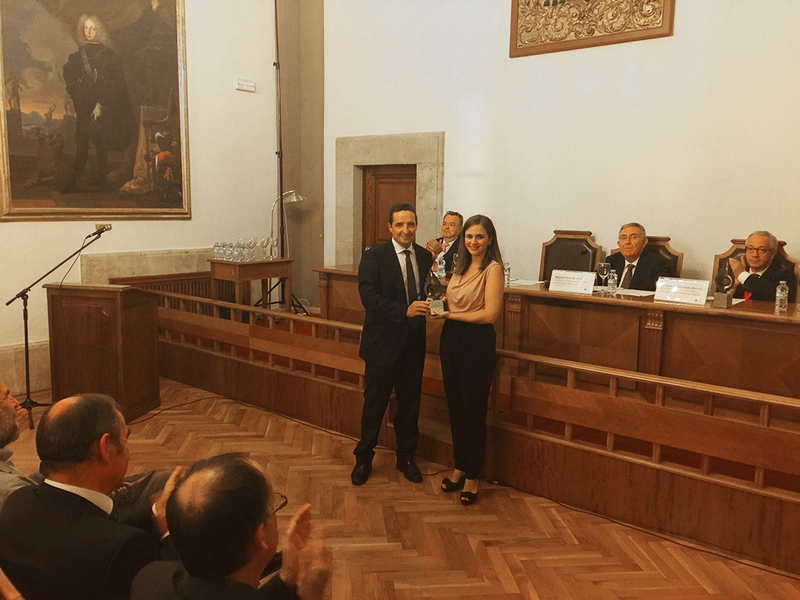 Alicia Asín, Libelium CEO, received on 14 September evening the prize from the Spanish Scientific Computer Society in an event celebrated in the Paraninfo Hall of Salamanca University. The award ceremony has taken place during the fifth Spanish Congress of Computing (CEDI). Alicia Asín has expressed her gratitude for getting Ángela Robles award. Libelium CEO has affirm: “It is a great honour to receive this prize from such a prestigious computing organization that want to recognize us for our career”. Alicia Asín has asured that “Libelium is still working on interoperability as the key to success in IoT sector and we are going to launch soon renew versions of our main products that are horizontal and compatible with any technology”. The organization has valued in Libelium its successful career, technological improvements and internationalization in the ten years of life of the company. The jury has highlighted that “Libelium platforms are used in any kind of application and systems, always through wireless sensor networks, something that defines Libelium ecosystem”. In relation to Libelium worldwide relevance they affirm that “Libelium is a leader company of IoT technology which has been recognized by a wide range of organizations for its innovation”. More than 2,000 clients from international corporations from 115 countries have adopted Libelium’s technology for projects in the five continents. Its IoT solutions allows working in different sectors such as agriculture, environment or smart cities deploying projects to optimize water usage and quality, air quality control, waste management, traffic improvement by locating free parking spots or lighting management to save energy. Libelium ended 2015 with an invoicing of 4.17 millions Euro. The expectation is continue growing by opening new markets with an investing of 1.8 million Euro. In just ten years, the workforce of the company has risen from 3 to 73 employees with an annual employment increase of 30% with respect to 2015.